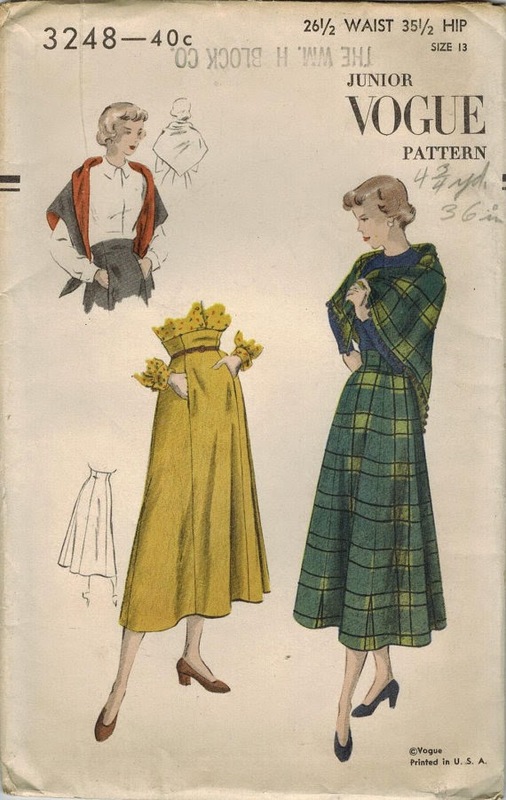 In my recent post of high school back-to-school fashion from the late 1940s was this lovely skirt and matching shawl or stole. OOoh! That skirt! 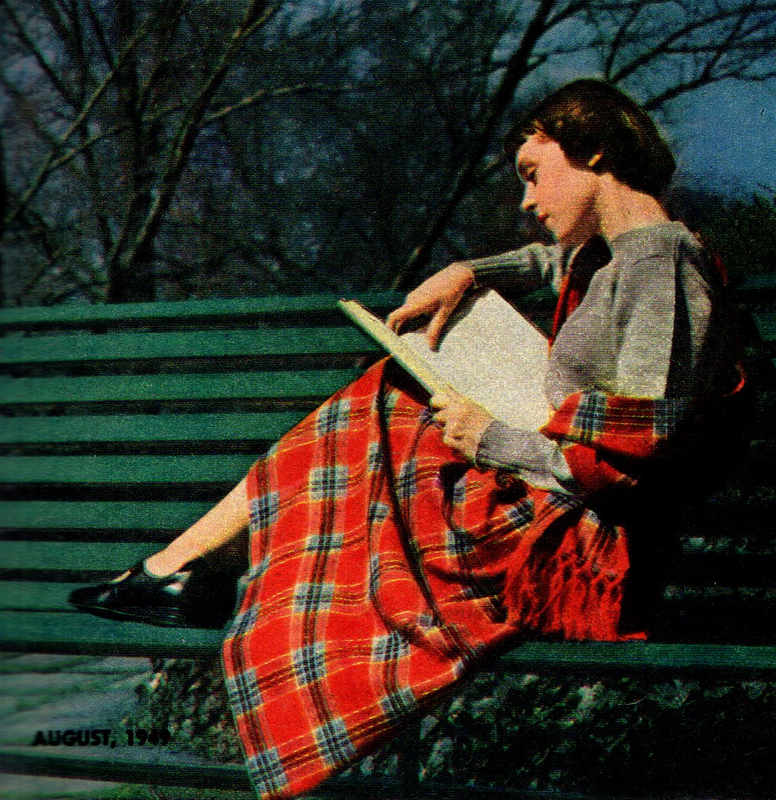 Makes me wish I had some winter weight cozy fabric in my stash to make such a skirt out of!